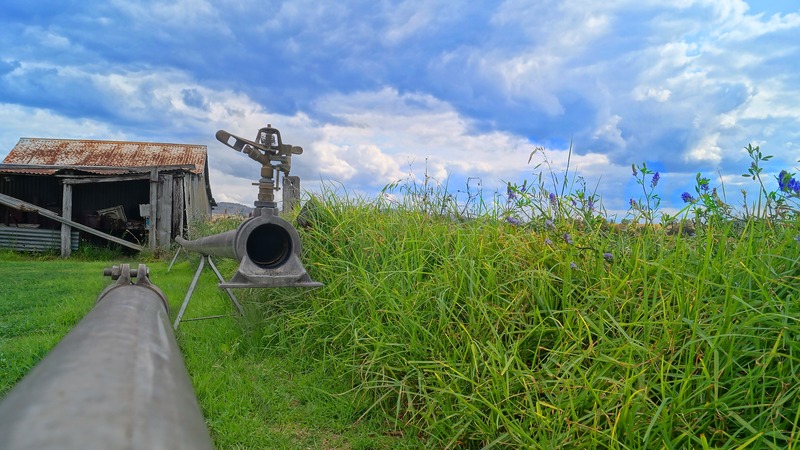 Groundwater trading – where a water user voluntarily leases or sells their groundwater allocation to a willing buyer – has been gaining traction as a tool for meeting the goals set forth in SGMA. Importantly, trading offers flexibility that allows water managers to do more with less and move water to where it is needed most. But there are a lot of barriers that make groundwater trading a challenging proposition in many parts of California. Implementing such a program can be a daunting task, and, if done clumsily, can lead to adverse environmental and societal impacts. That’s why EDF and Mammoth Trading released a report last week that looks more closely at the logistics of implementing a groundwater trading program in California. Informed by interviews with over two dozen experts in water policy, law, and management, the report demystifies trading programs and shows how they can effectively address water scarcity. As we assembled the report, one project in particular came up time and again in our interviews as a hopeful vision for the future. The Fox Canyon Water Market Pilot Project in Ventura County, roughly 50 miles north of Los Angeles, is poised to be the first groundwater trading program under SGMA. If successful, it could serve as a model for other basins around the state. The Oxnard Plain is one of the most robust and productive agricultural regions in the state. The Fox Canyon groundwater basin underlies the Oxnard Plain, a coastal region in the southern part of Ventura County. A favorable climate, high-quality soils and level topography make it one of the most robust and productive agricultural regions in the state – particularly for strawberries and raspberries. 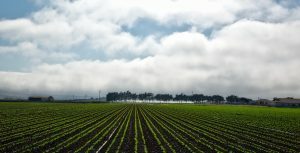 As with many agricultural regions in California, Oxnard Plain farms have become increasingly dependent on groundwater to support crop production. 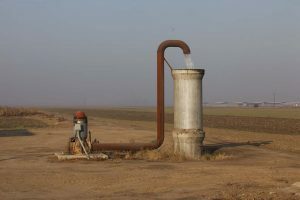 Drought and the demands of a growing population have put even more pressure on aquifers, and, as a result, many basins in the region have become overdrawn. The region’s proximity to the coast is particularly concerning due to the threat of saltwater intrusion – where seawater seeps into an aquifer causing contamination of drinking water and farm water supplies. Recognizing this problem, water managers in Ventura County actually took steps decades ago to try and limit groundwater pumping. But lack of regulatory authority made this a difficult task. SGMA changed that. In 2016 the Fox Canyon Water Market Pilot Project was launched as a collaborative effort among water managers, farmers, urban officials and environmentalists, including The Nature Conservancy, who is cooperating with water managers to implement the project. Under the project, the Fox Canyon Groundwater Management Agency (GMA) assigns pumping allocations for water users and utilizes a market exchange to facilitate and record trades. In part, this is made possible through advanced electronic monitoring of groundwater pumping. The project has completed a Phase I pilot that was limited to 30 wells in the Oxnard Plain region along the coast. An expanded Phase II pilot will begin shortly. But, the project has already received a $799,000 grant from the United States Department of Agriculture to continue and expand to all farmers in the basin. Fox Canyon is just one example of how groundwater markets can work in the SGMA era. But it’s not the only way trading can work in California. Each groundwater basin comes with its own unique set of challenges and conditions. As such, trading programs need to be designed with the local context in mind. There is no one-size-fits-all model. 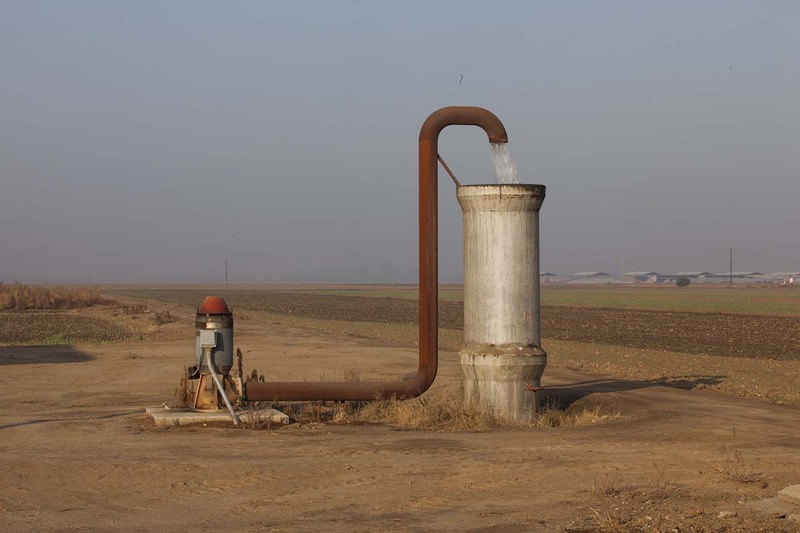 Groundwater trading is one of many solutions that will be needed to address water scarcity in California. And while water trading can be an elegant, flexible tool for addressing California’s water challenges, it isn’t the only tool that needs to be explored. New technologies, opportunities for enhanced groundwater recharge and storage, and better monitoring techniques will all be needed to make SGMA a success. All of these solutions will become increasingly important as climate change makes our droughts more extreme and our winter storms more severe. Ultimately, we need management tools that allow us to adapt to these changes in ways that create a more resilient water system. And, if done correctly, groundwater trading could be a key ingredient for making that possible. This entry was posted in western water and tagged California agriculture, groundwater management, SGMA, sustainable groundwater management act, water scarcity, water trading, water use. Bookmark the permalink. Both comments and trackbacks are currently closed.